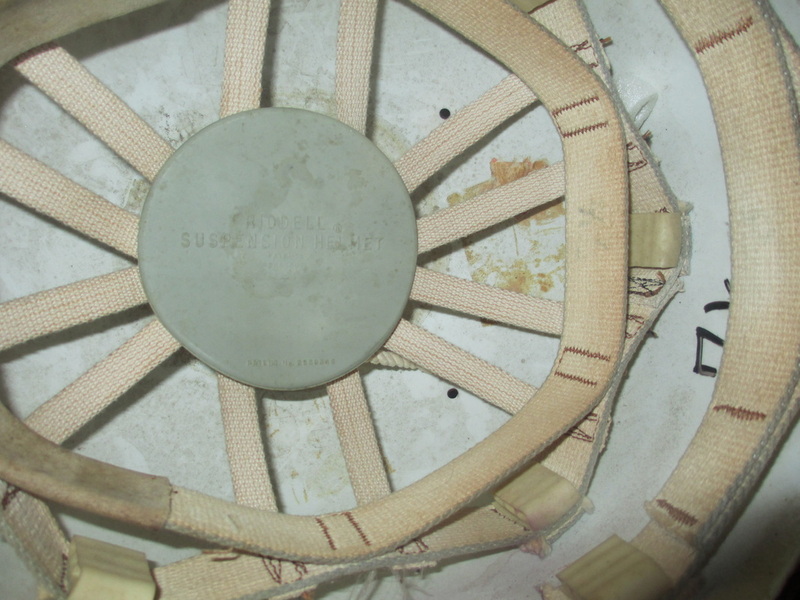 Please click on the pics to enlarge the images. 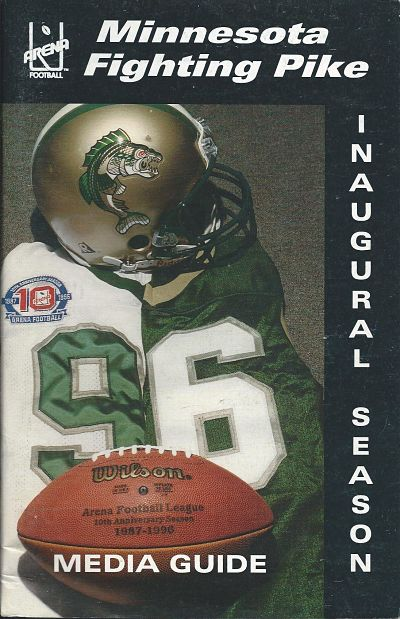 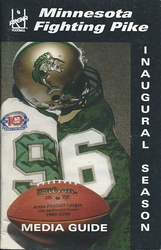 Minnesota Pike 1996 helmet. 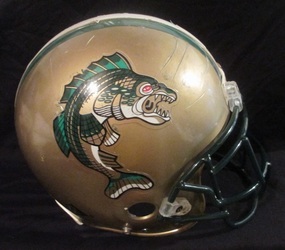 The Fighting Pike were only in existence for one season, then folded making this one of our more scare helmets. 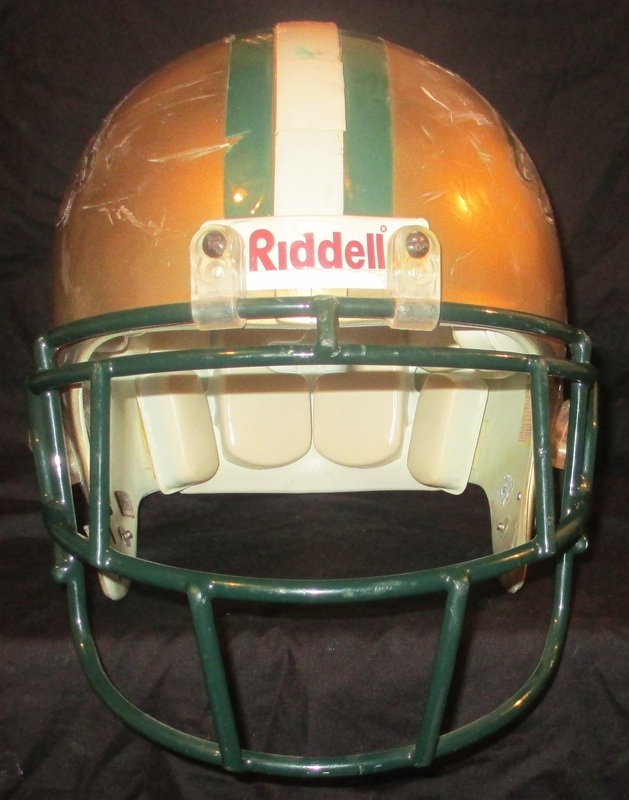 This Riddell VSR4 model helmet shows great use and is the only one we know of that survived the team's liquidation. 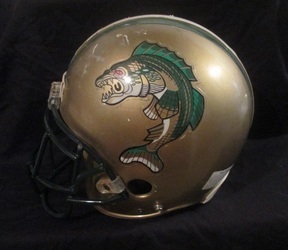 It originally came from the Pike equipment manager to one of our friends during the season, who was kind enough to sell it to us. 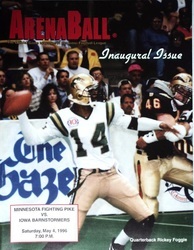 Some former Gopher standouts played for the Pike such as; Rickey Foggie, Tony Levine, and Mike Sunvold. 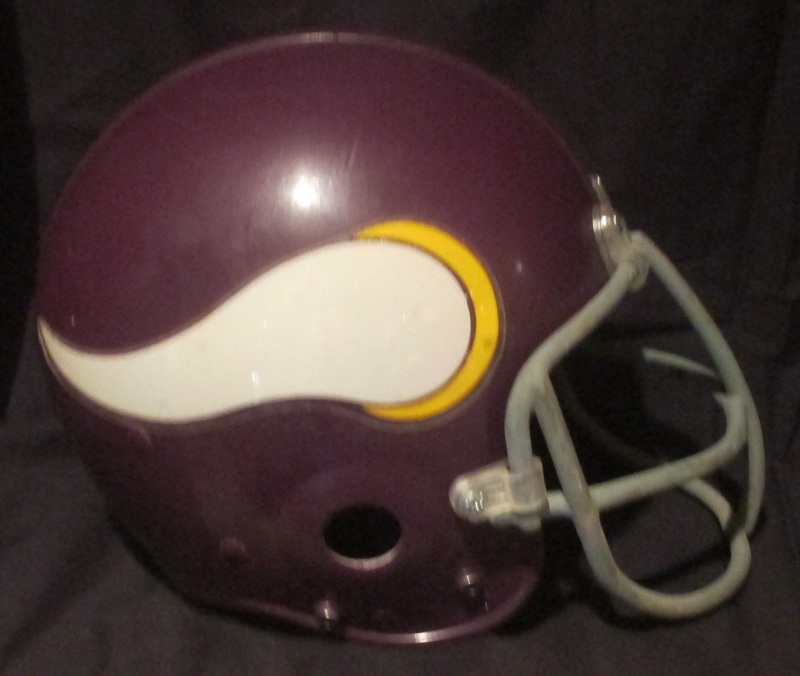 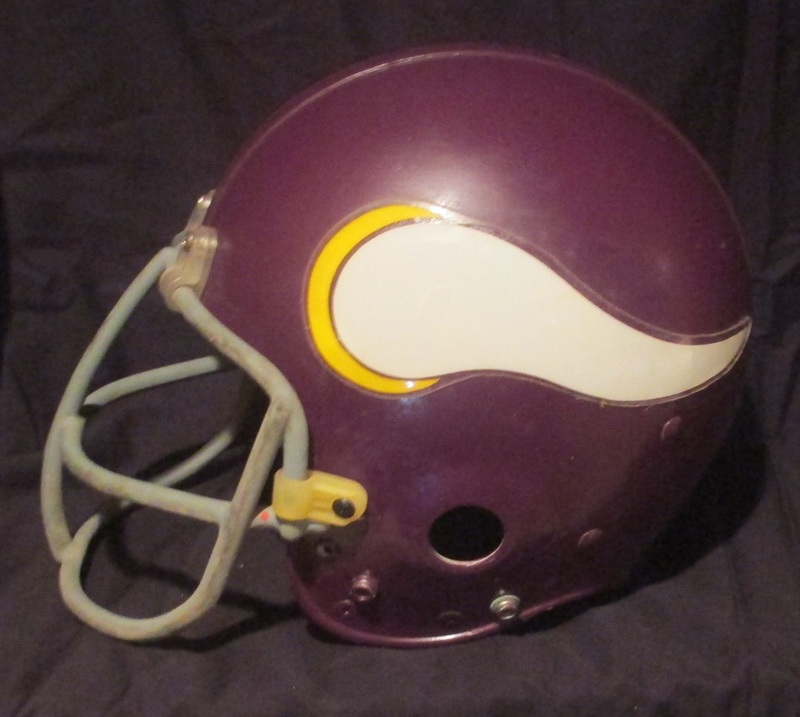 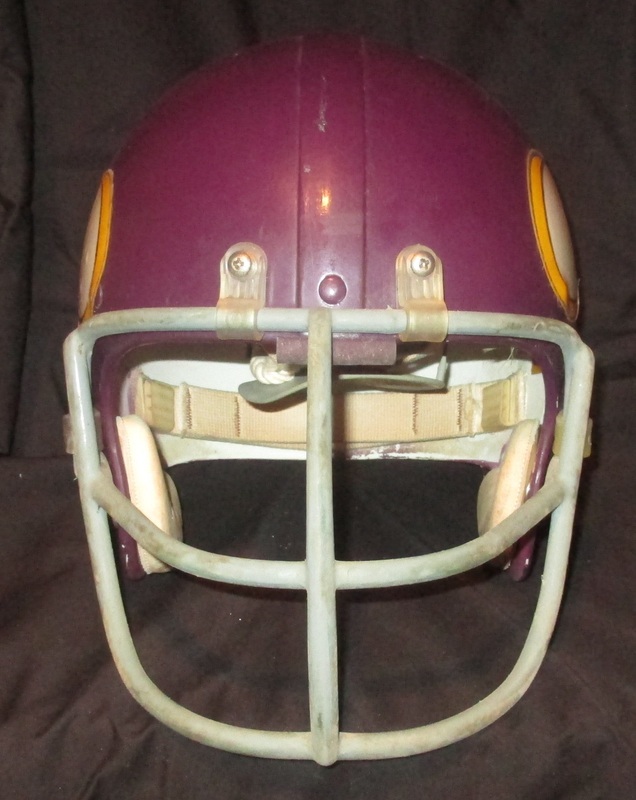 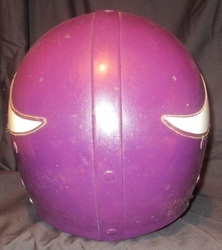 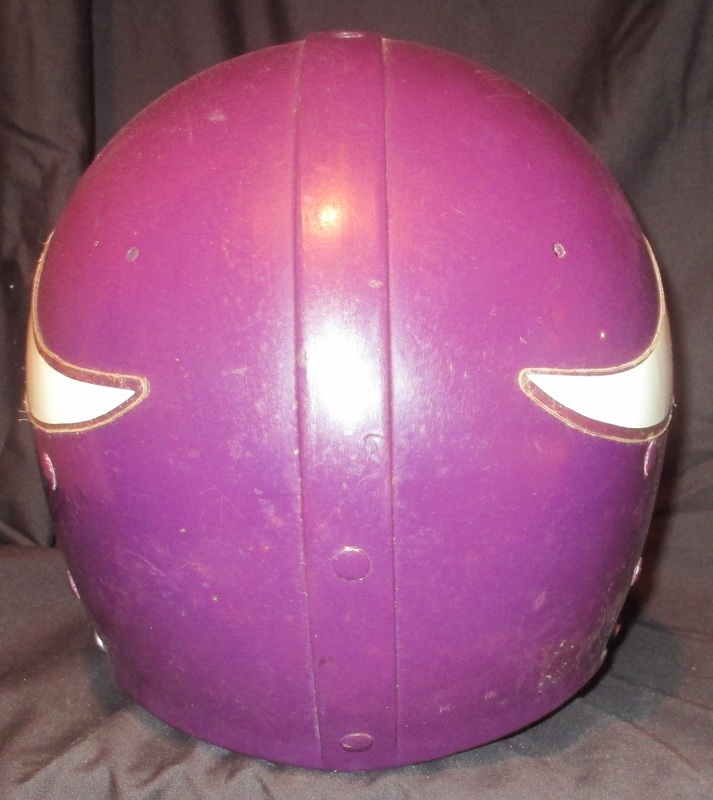 Minnesota Vikings 1970's Riddell model suspension helmet. 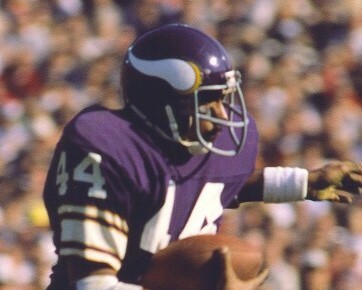 Player unknown, but the same style as worn by Chuck Foreman. 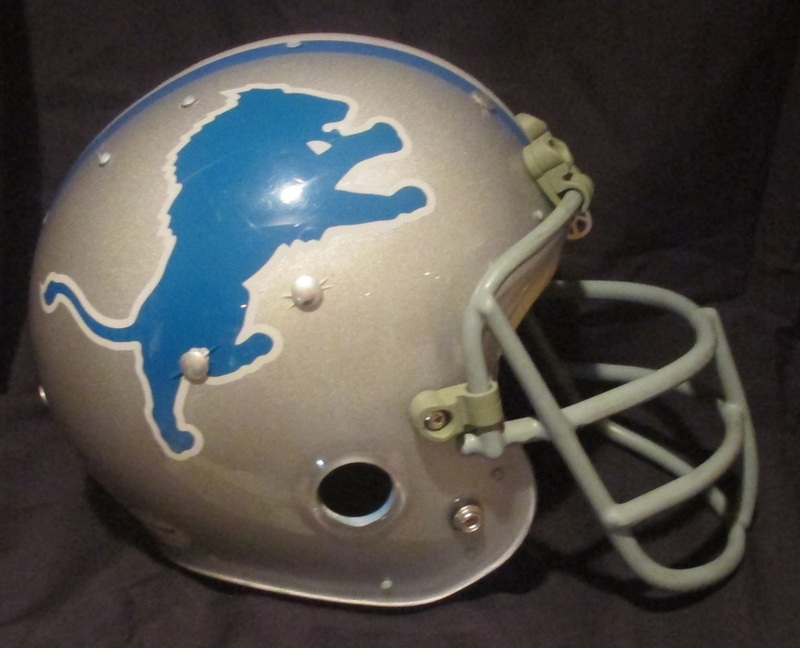 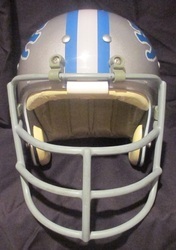 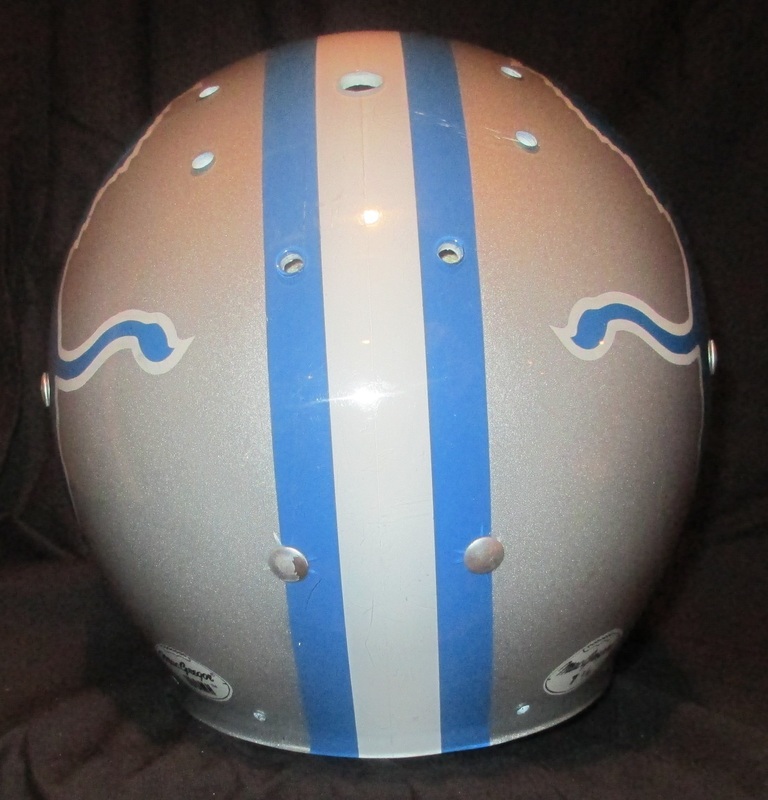 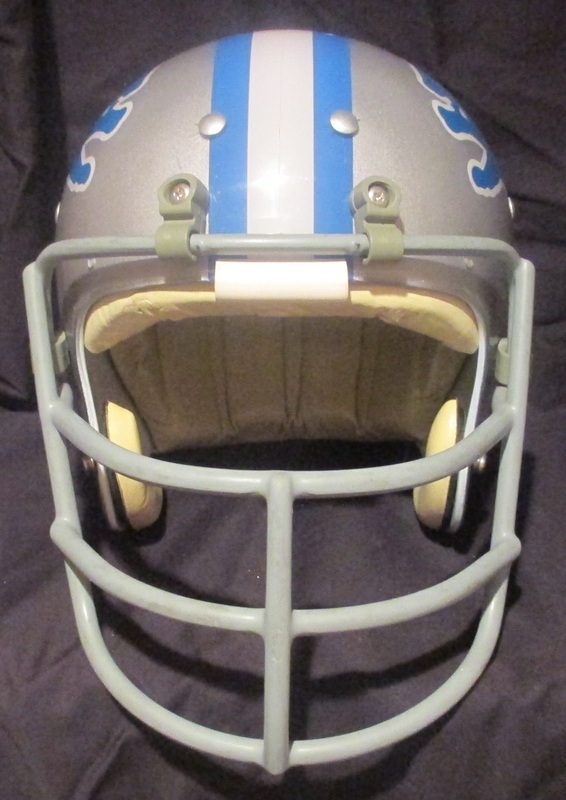 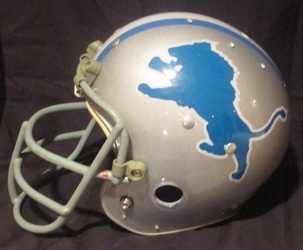 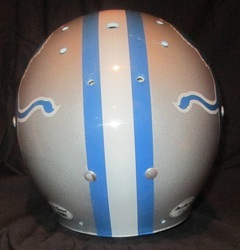 Detroit Lions 1970's MacGregor clear shell model helmet. 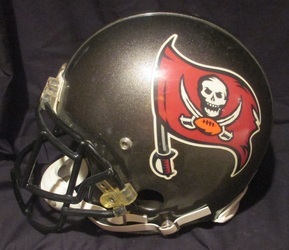 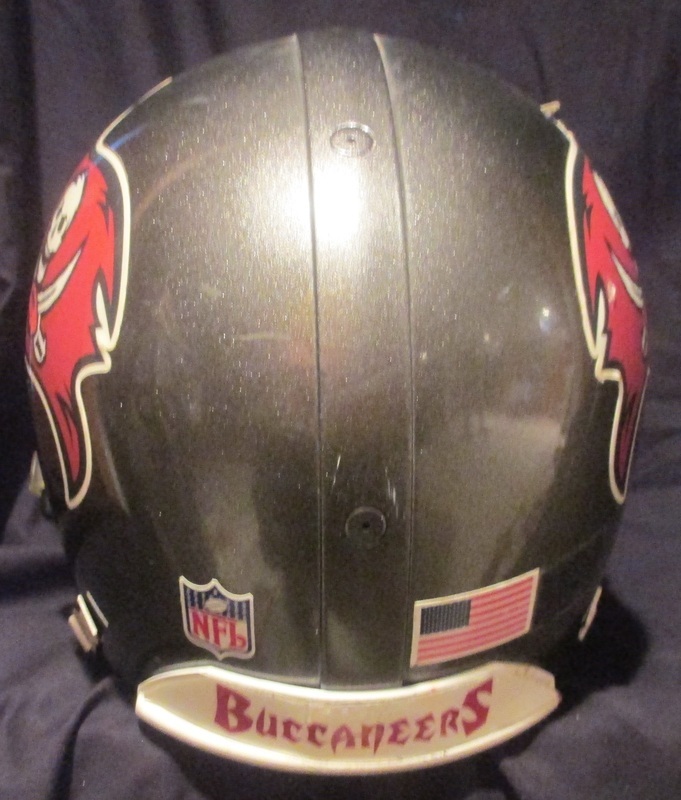 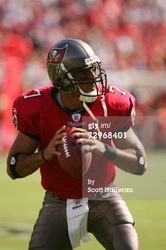 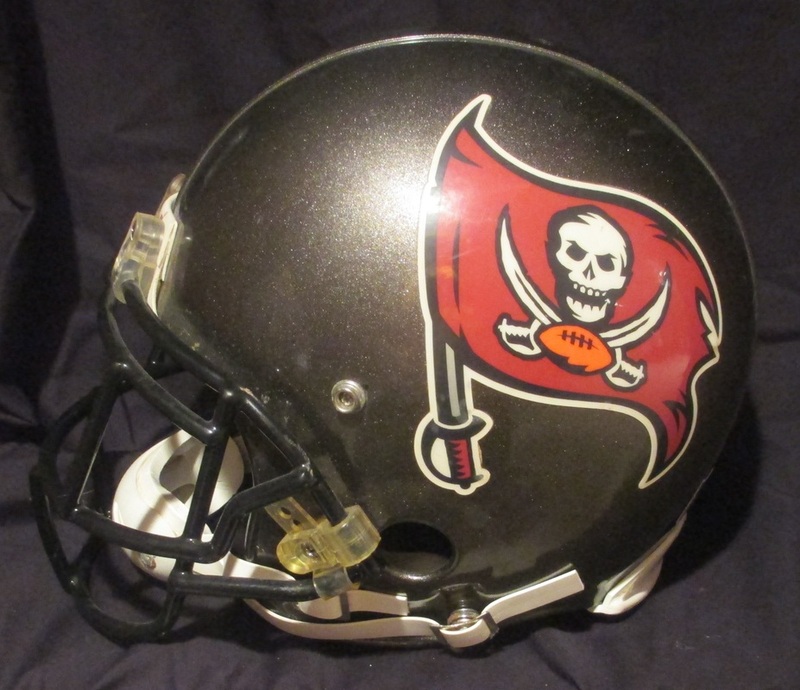 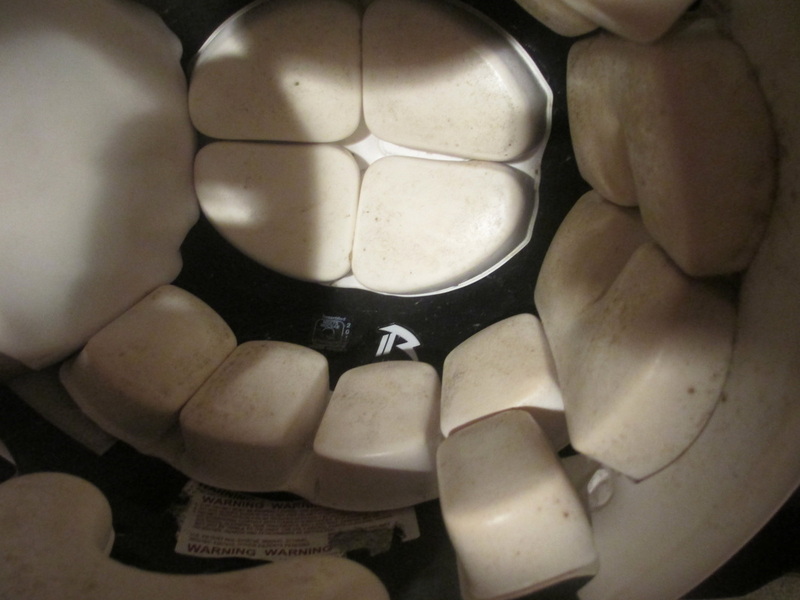 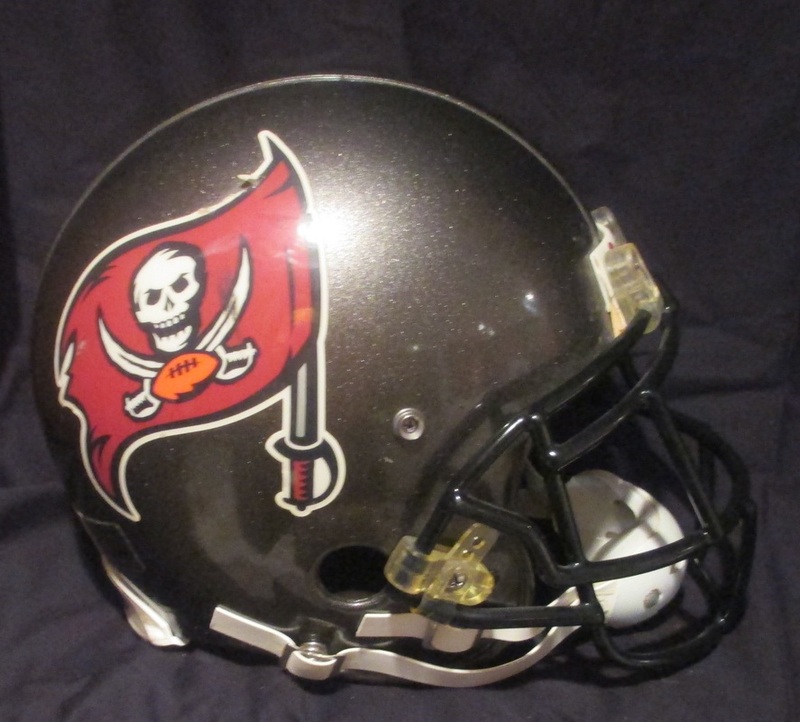 Tampa Bay Buccaneers, #24 helmet, likely worn during the preseason only, Riddell VSR4 model. 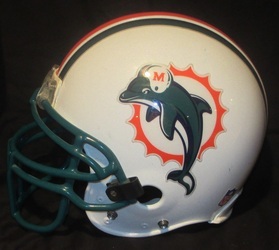 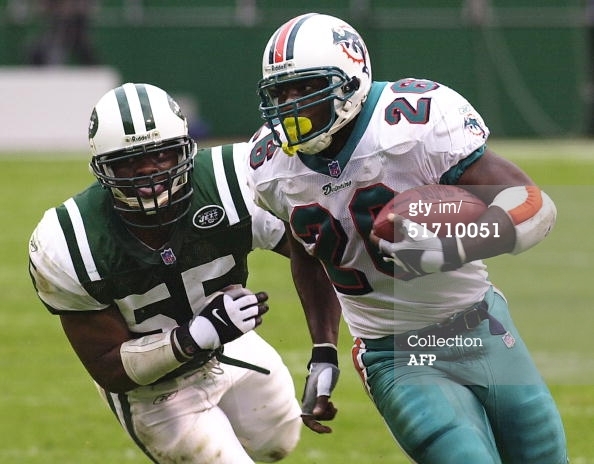 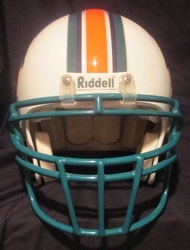 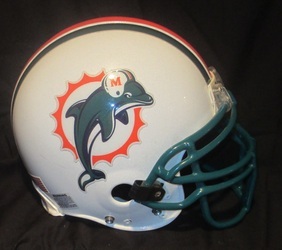 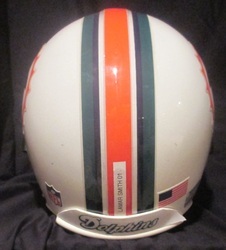 Miami Dolphins Lamar Smith 2001 helmet. 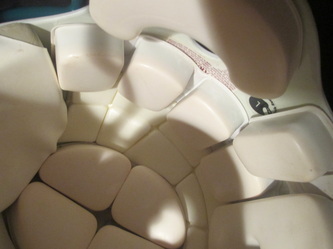 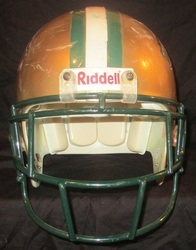 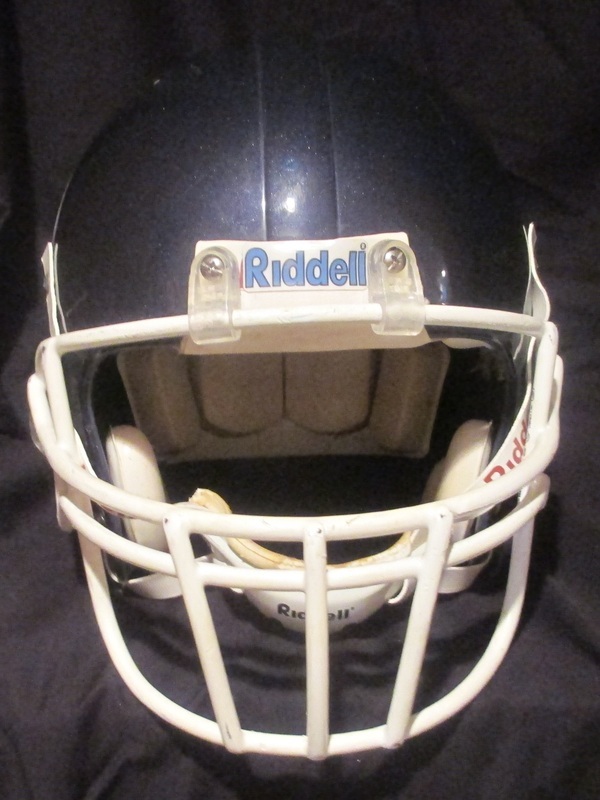 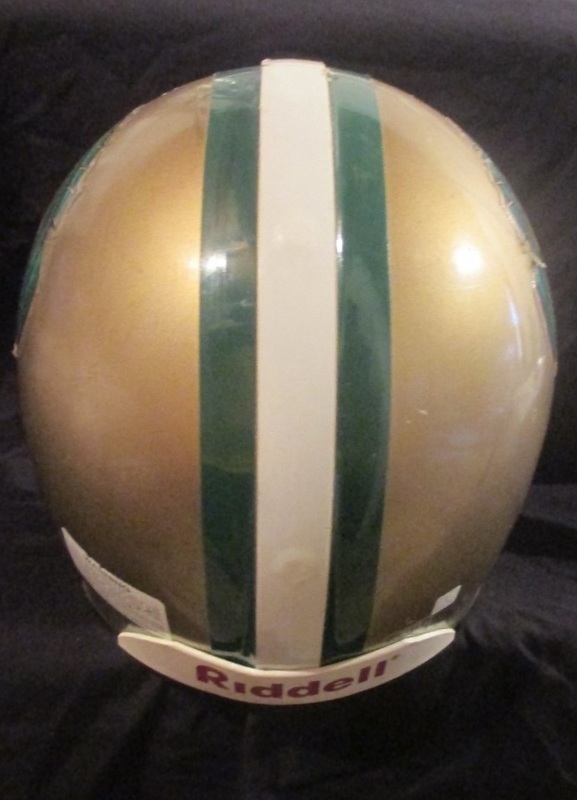 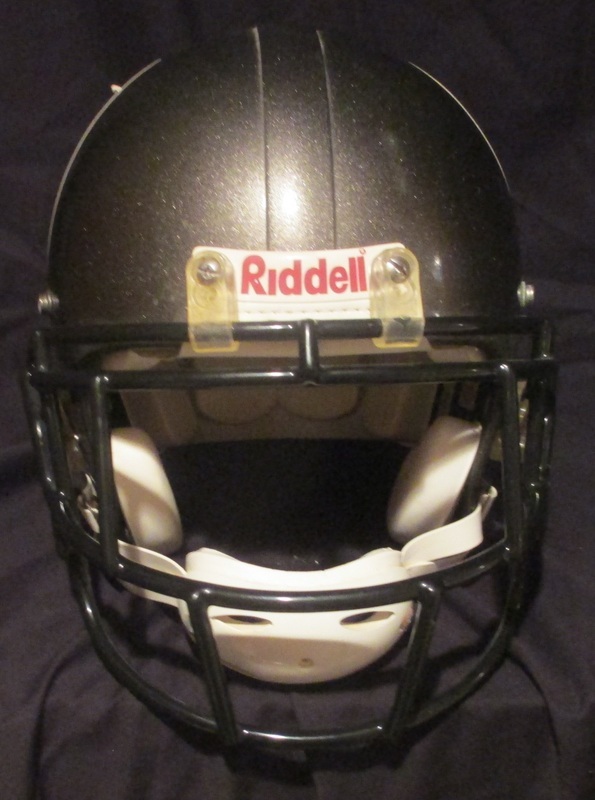 Riddell VSR4 model. 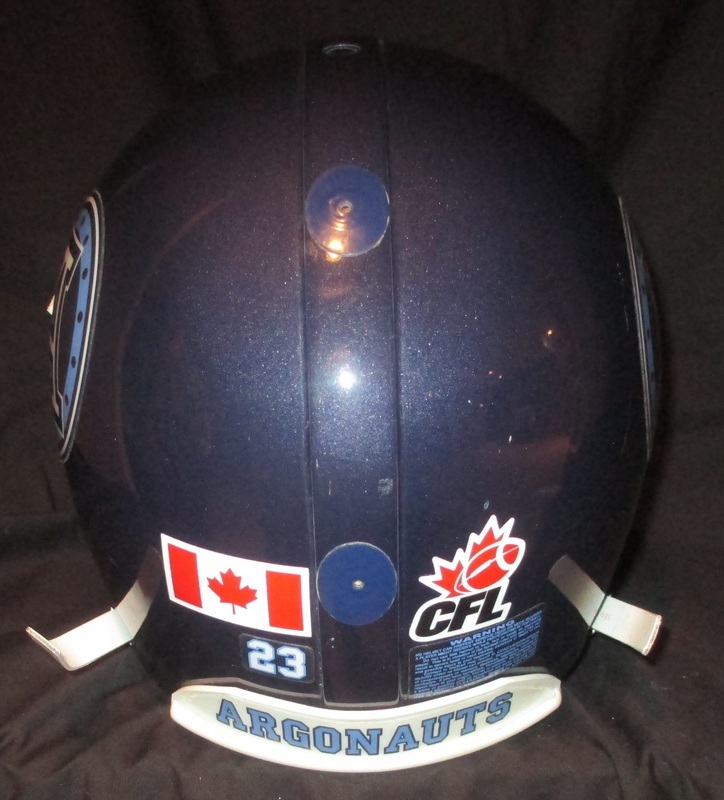 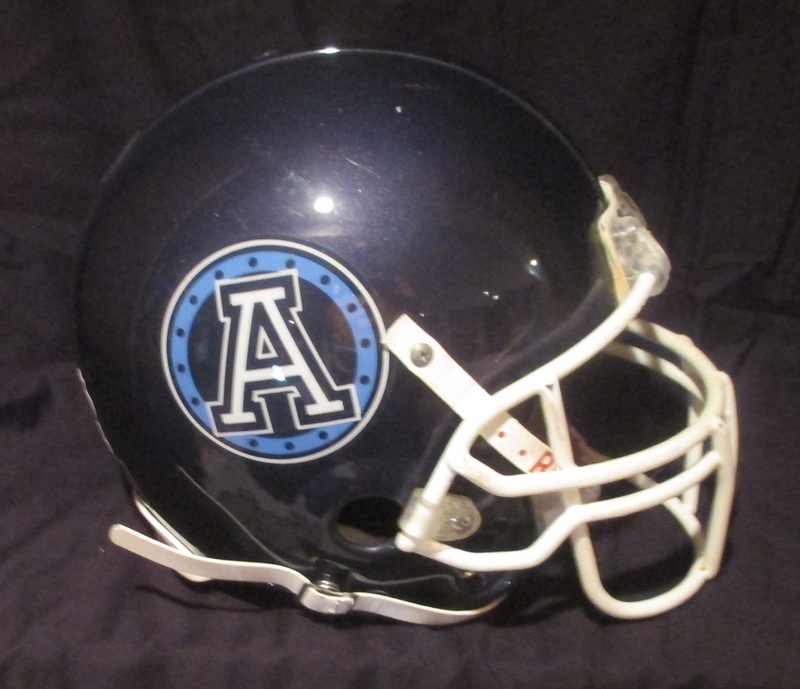 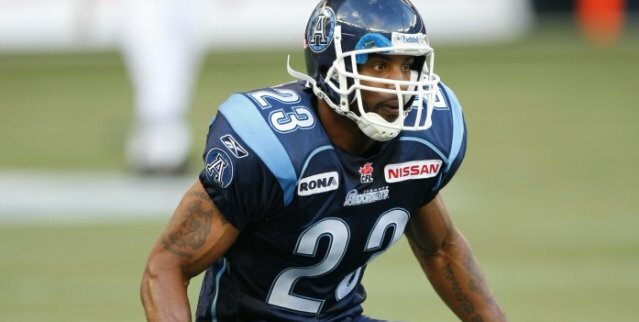 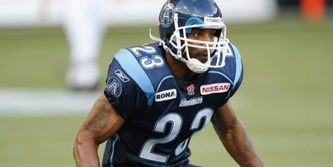 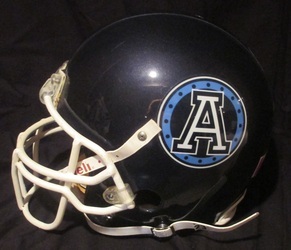 Toronto Argonauts Willie Middlebrooks 2010 helmet from CFL auctions, Riddell VSR4 model.